Since I accompany Mom on our weekly grocery shopping trip to Stop & Shop, I have a pretty good idea as to what is being sold in the particular store we always visit. 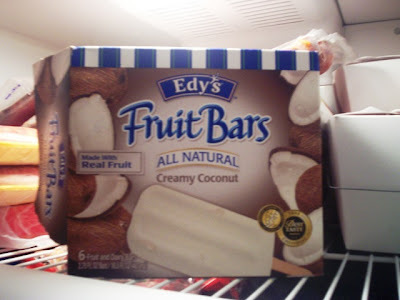 I've seen the Edy's Creamy Coconut Fruit Bars for a while now, but have never made any move to purchase them. Today, that all changed. The bars just happened to be on sale! Normally $3.79, they were being sold at $3.50. 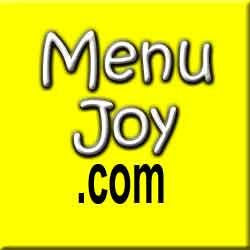 Although not much of a sale, I decided to announce to Mom that I would like to try them. The next thing I knew, they were in our shopping cart. THE VERDICT: Delicious! Cool and creamy with little bits of coconut inside, this bar is fairly large and really refreshing. If you've ever had the Haagen Dazs Coconut Sorbet, the taste is very similar. I am definitely glad that I finally got to try these yummy bars.